Boy Scouts Troop 12, chartered by the Washington School PTO, belongs to the Raritan Valley District of the Patriots' Path Council. Our Scouts in grades 5 through 12 have been serving the community since 1917. Troop 12 has outings every month, which include traditional camping, backpacking, and hiking. We regularly attend the District Camporees and Klondike Derby, and go to summer camp every year for a week in July. 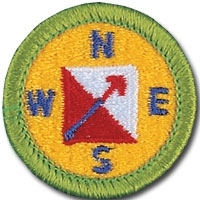 Troop Meetings are held every Thursday, 7:00 pm at Washington School, 153 Winthrop Rd, Edison NJ. Join us! Donations help pay for Scout supplies and equipment such as tents, lanterns, stoves and more. Thank you for your support!